Kojak PL with flat-only fingerprint capture is also available. 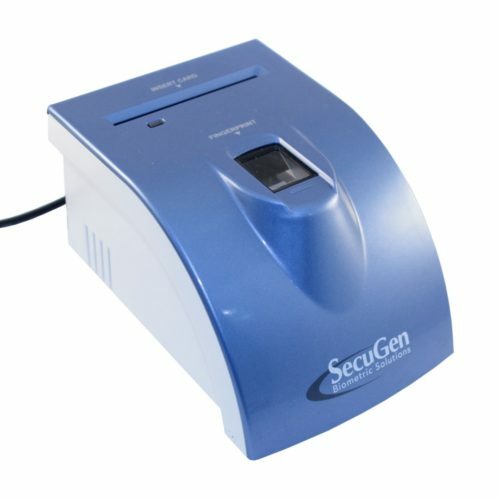 SecuGen Hamster Pro 20 is a compact optical fingerprint reader which captures single flat fingers. 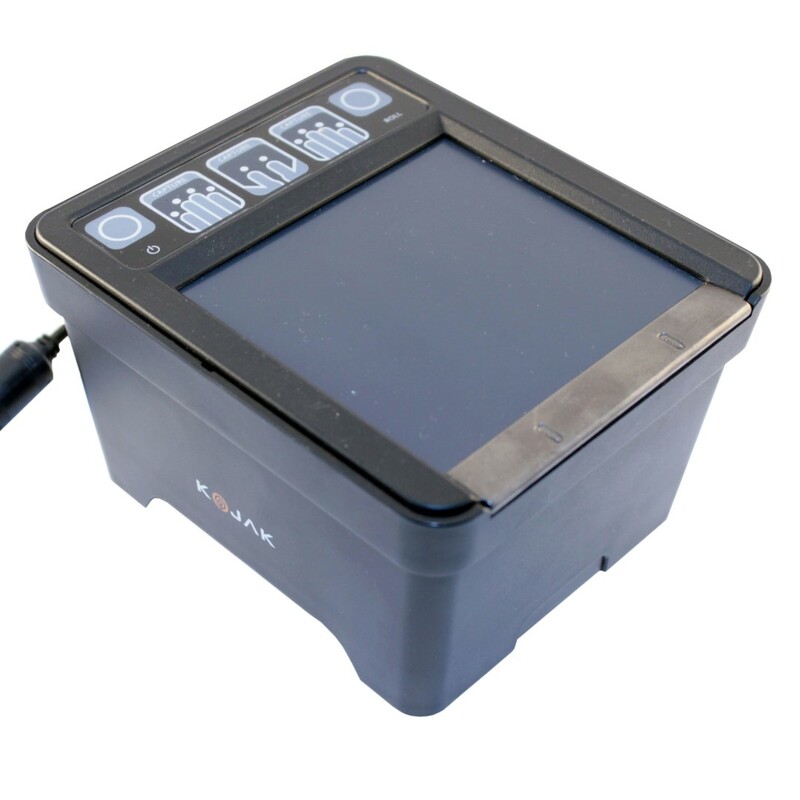 The scanner is compliant with FIPS 201 / PIV (FIPS-201) and Mobile ID FAP20 requirements. According to the manufacturer, Hamster Pro 20 is able to reject spoof fingerprint images and latent fingerprints, thus preventing certain types of fraud like using photocopied fingerprints. The scanner works well with dry, aged or scarred fingerprints. 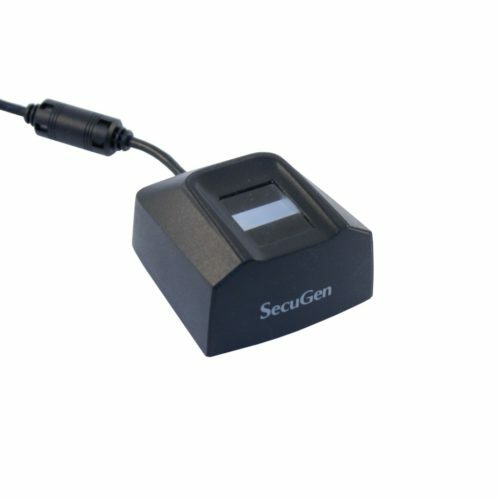 iD-USB SC from SecuGen is an USB device that combines fingerprint scanner and smart card reader. The fingerprint scanner uses the same sensor as SecuGen’s Hamster Plus. 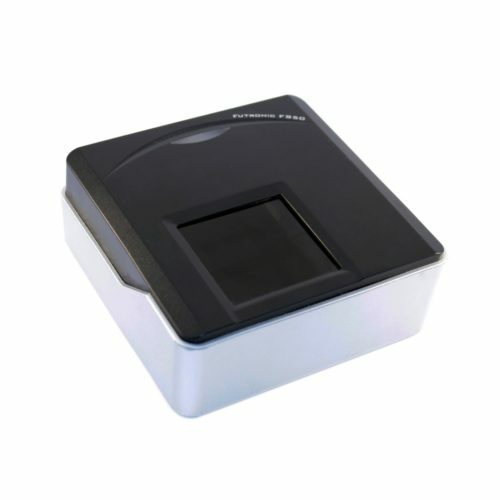 The optical sensor features automatic finger placement detection that is used for enabling fingerprint scanning. The embedded smart card reader is based on HID OMNIKEY 3121 hardware. It is compliant with ISO7816 and EMV 2000 level 1 standards. 5V, 3V and 1.8V smart cards are accepted. The reader supports PC/SC and PC/SC-based APIs.